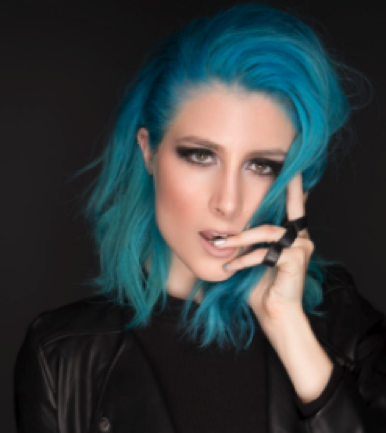 Following the release of her latest track, “Haunted”, Los Angeles-based rock powerhouse DIAMANTE announces a series of 2018 dates including select shows supporting Steel Panther in December plus two headline shows later this month at venerable West Hollywood venue Whisky A Go Go on 11/29 followed by Las Vegas’ Beauty Bar on 11/30. A full list of dates can be found below, tickets are available here: thisisdiamante.com. “Haunted” – Produced by Howard Benson [Chris Cornell, Kelly Clarkson, My Chemical Romance, Halestorm] – is the third taste of what’s in store on her forthcoming debut LP, following “Sleepwalking,” and her debut single “Coming In Hot” which has garnered over 750K streams across platforms to date. Coming In Hot is also the title track to her 2018 debut LP. The upcoming collection brings to light a signature sound the artist has been developing meticulously since age 13. Now 21, the up-and-coming Mexican-Italian-American solo artist is poised to breathe new life into rock. 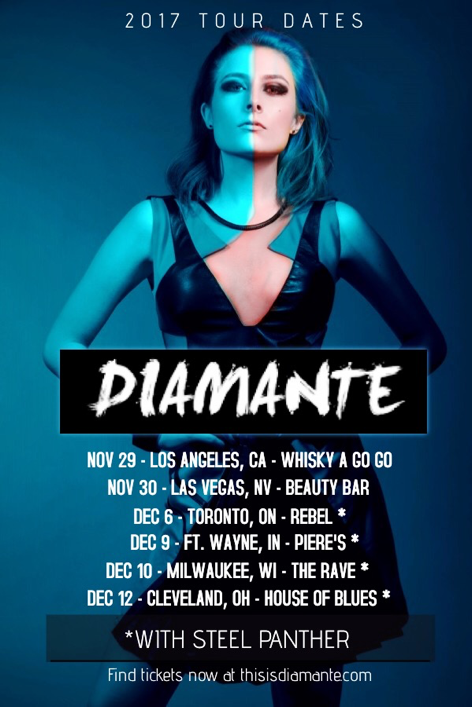 With her edgy style, sultry vocals, pop sensibility, and unabashed swagger, Diamante draws from myriad influences and calls to mind legends from a spectrum of rock icons including Joan Jett, Pat Benatar, Debbie Harry, Mötley Crüe, Def Leppard, and Bowie. [whose “This Is The Time (Ballast)” went #1 at Active Rock and notched over 20 million cumulative streams], Deuce, From Ashes To New, Diamante and As Lions. Led by a team of the music industry visionaries, the label supports its roster with a range of integrated services including marketing, promotion, publicity, sales, digital, licensing, and touring. With distribution partners RED/Sony in the U.S., ADA/Warner in Europe, Sony in Canada, Australia, Southeast Asia, and South America, and Universal in Japan, Better Noise is well-positioned to deliver the world’s next rock leaders and icons.